The Great War had begun moving forward by the time Great Britain declared war on Germany on August 4, 1914. This had come in response to an “unsatisfactory reply” to England’s ultimatum that Belgium remain neutral. At this time, Hodgson and his wife had been living in France and the threat of the impending war had impelled them to return home. The same month of England’s declaration of war, Hodgson enlisted in the Officer Training Corps at the University of London. This was an established training school that produced officers for the British Army. The Officer Training Corps (OTC) had been established during the Haldane Reforms in 1908 to remedy a critical shortage of officers during the South African War. Some 30,000 officers passed through the OTC in World War One. After graduating from the OTC, Hodgson was commissioned as a Lieutenant in the British Army. He was sent into the 171st Battery of the Royal Field Artillery (New Army Division). These were the men who were responsible for moving the huge cannons and artillery over the battlefield by horses. It was grueling and astonishing dangerous work. 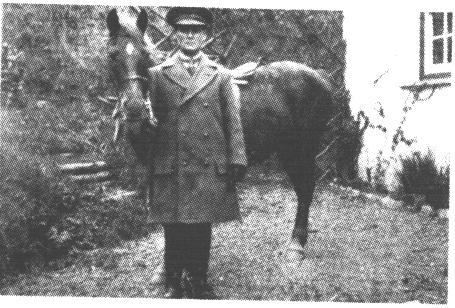 Hodgson was one of the officers in charge of training these groups and, during the course of this training, he was thrown from his horse and suffered a concussion. Hodgson was billeted out of the Army and sent home to Borth to recover in June of 1916. But, of course, Hodgson was not the sort of man who was satisfied to sit out the war. 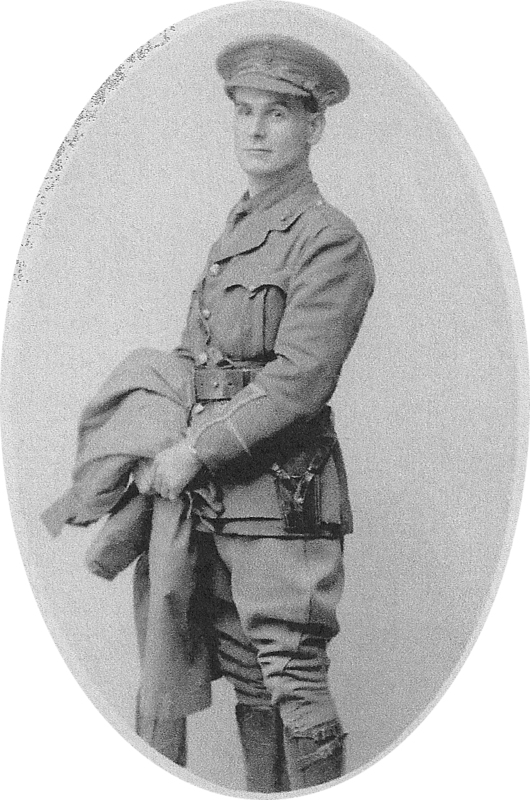 Due to his excellent physical condition, accomplished through his years of exercise, Hodgson made a quick recovery and rejoined the British Army in March of 1917. He is attached to the 11th Brigade of the Royal Field Artillery which is finally sent to France in October, 1917. Upon arriving in France, the 11th Brigade became part of the 84th Battery. It is important to note that British Batteries were comprised of several separate Brigades. Therefore, the 84th consisted of several other Batteries and they moved into France towards Belgium in that October. In March of 1918, the 84th Battery takes up a position in Brombeek where, on March 20th, they are subjected to gas shelling and heavy artillery shelling by the Germans at Tourette Crossroads. Despite this bombardment, the 84th holds the position until they were relieved by Belgian Artillery on March 30, 1918. Hodgson was wounded by the German attack on April 10th and briefly hospitalized. Still, Hodgson would not stay put and rejoined his outfit just in time for them to withdraw. A Forward Observation Post was set up on Mont Kemmel and Hodgson volunteered to man it with another officer. On April 18th, 1918, Hodgson and his fellow officer took up the post and sent their final reports. The next day, April 19th, they both suffered a direct hit from a German mortar shell and were instantly blown to pieces. The French unit that recovered the site reported that there was nothing left of either man to bury. World War One completely changed the world. By the end, no less than four empires that had existed before the conflict were completely wiped out. The map of Europe was rewritten and famine raged unchecked. 8 million European soldiers were killed while 7 million were permanently disabled. The total number of military and civilian casualties was over 37 million including deaths and wounded. It was truly one of the deadliest conflicts in human history.